Energy saving devices such as programmable thermostats, timer and controls all help to reduce the amount of energy being consumed in a home or building, thus reducing overall energy costs. T8 lamps with internal drivers are 1 of 2 ideal energy saving choices when upgrading traditional linear T8 or T12 fluorescent lamps in fixtures. 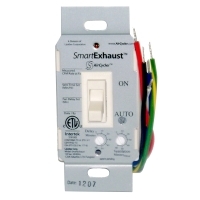 With internal drivers, the ballasts are removed from the fixture and the power is wired direct to the sockets. Since no power is wasted on the ballast, these type of tubes tend to be more efficient. Consumers also experience less long term maintenance costs since you have one less part to maintain in the future by eliminating the ballast. 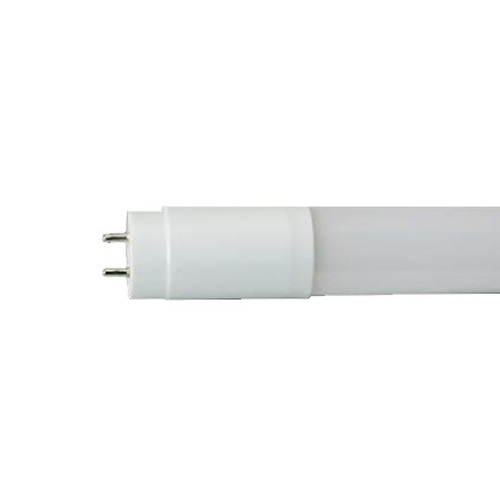 These LED T8 tubes are designed to provide appropriate light levels while utilizing a dedicated internal driver. However, some cons associated with internal drivers include: required electrical modifications, limited dimming, dangerous installation and higher installation costs. T8 lamps that are instant start compatible require no rewiring of the fixture. Since this step is not necessary, instant start tubes offer a simple way to replace the fluorescent lamp with your new LED lamp. Instant start ballasts ignite lamps by applying a significant voltage across the lamp during starting. However, no cathode heating is applied before or after the lamp ignited. The high voltage applied across the lamps typically ignites them within 50 milliseconds. Emissive material is also released during this since the cathodes are not heated with instant start ballasts. It is the most energy efficient type, but yields the fewest lamp-start cycles, as material is blasted from the surface of the cold electrodes each time the lamp is turned on. Instant-start ballasts are best suited to applications with long duty cycles, where the lamps are not frequently turned on and off. Turning on the hot water is not the same as heating it up. Seems a little trippy, right? Even if the hot water is not in use, your water heater is doing its best to keep that water hot for you – a process that uses up energy and adds unnecessarily to your heating bill. One simple solution for this problem is to install water heater timers. These devices allow you to control when the heater operates and help erase a bit of the bloat on your energy bill (translation: they will save you money). How long a shower lasts, etc. Heaters work daily to keep water at a high temperature and ready for use whether someone needs hot water or not. Putting this in terms of money, if your heater is a 5500 watts tank, heating costs around $50-60 or more a month. 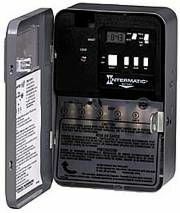 Water heater timers are programmable devices that control when a water heater is turned off and on. With this device, your water heater will provide hot water only when its scheduled to do so instead of maintaining hot water throughout the day. 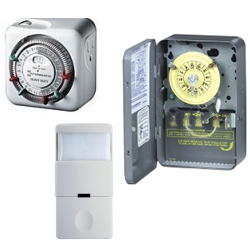 Water heater timers are easy to install, will operate with any existing heating system, and provide better control over your hot water energy usage and heating expenses. Jumping on the conservation bandwagon used to be seen as a fad, now people are realizing that energy efficiency has always been a necessity. Lighting, air leaks, and even your showerhead can be silently sapping energy while loudly making its presence known on your energy bill. To begin making, seeing, and feeling changes in your home’s energy usage, consider these 4 ways to make your home energy efficient. This one change, switching out incandescent lightbulbs with environmentally friendly models, will reduce the energy wasted on lighting your home by up to 80%. Air leaks are deceptively raising your energy bill. They are sometimes hard to locate, and at times air leaks come from sources that you may not expect — electrical outlets, for one, are a source that can be easily overlooked. 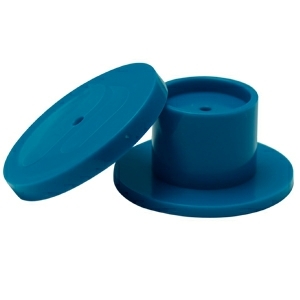 Outlets that are not in use (and even the hole under electrical outlet covers) can easily be sealed using items such as child-proofing caps and foam outlet gaskets. Heating and cooling account for 43% of the energy used in a home (with the percentage going up or down based on factors like climate, etc.). A home that is properly insulated can shave off 20% or more from your energy bill. If the sun shines through your closed doors, you have an insulation problem. Doors and windows with cracks/gaps allow air, dust, and even bugs to infiltrate your home. To add insult to injury, these openings contribute to the rise in your energy bill. They cause the home to experience inconsistent temperatures, and as a result you go back and forth between lowering and raising the thermostat — while it raises your energy bill. To be more specific: poorly insulated doors account for 11% of the energy lost in your home, while poorly insulate windows account for 10-25%! Door sweeps (The most common size is a 36 inch door sweep but you may need a 42 inch door sweep). Low-flow showerheads are easily one of the most energy conserving products that your home will benefit from immediately. Low-flow showerheads offer the same or better quality of shower while saving energy and money. Modern showerheads can use 2.5 gallons of water per minute, (GPM) while earth showerheads only use 1.5 GPM. Low-flow showerheads use less water and therefore less heat. Installing earth showerheads allow for as much as 30% in water savings along with lowering energy costs. By sealing air leaks and making the switch to more energy efficient lighting and showerheads, you’ll quickly gain comfort in your home and bank account. There is almost no better feeling than to be in total control of the way your money is spent, agreed? It is very much possible to get this feeling each time the energy bill arrives. I know this sounds crazy. After all, who likes to look at bills? However, installing a programmable timer in your home will give you control over the appliance it is connected to, which will decrease energy consumption, which in turn makes paying energy bills a task that is completed with much less frowning. Heating and cooling requires the most residential energy, and accounts for more than half of utility costs in the typical household, as much as $680 annually. While weatherproofing the home is a great way to reduce both consumption and costs, it can be costly depending on the scale of the insulation project. An appliance timer is a quick and cost-effective solution to this costly problem. The water heater is a great appliance. It supplies heated water to every corner of the home that needs it. What isn’t so wondrous about it is that it runs all day, whether or not you need it to, maintaining the water temperatures. This is how water heating is easily follows heating and cooling as the next largest utility cost in the average home. At night when everyone is asleep. Do you know how many lights there are inside your home? Now think about how often the lights are left on (including over night for security reasons in some cases). With the average home containing approximately 30 light fixtures, lighting is the next highest consumer of energy, and the next place you want to install a programmable timer. Lights can be turned off between 30 seconds to 30 minutes after the last person has left a room. 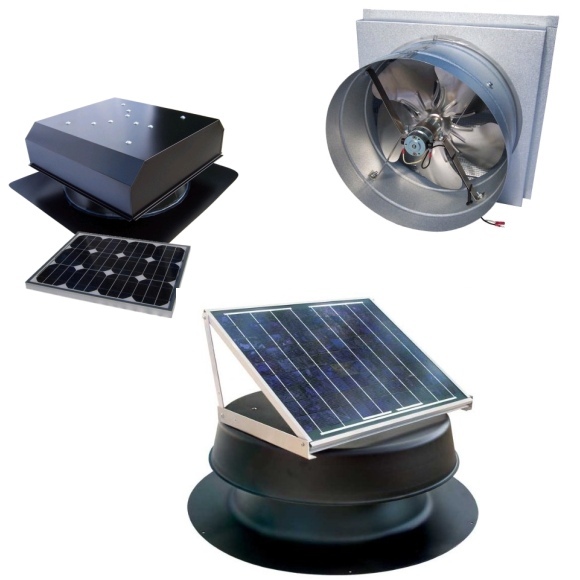 By reducing the power load from one or all of these sources, you will immediately begin to save energy and money without making a major change to your home. Bottom line: installing a programmable timer will help make your life a little easier and your wallet a little heavier. At this point in the year, it’s safe to say summer is in full swing, which is great. Summer means vacations, going to the pool, and fun in the sun. Unfortunately for many, it also means higher energy rates, usage, and bills. Keeping the home cool when it gets hot out can become quite a task. The more pressure that is put on the cooling system, the more energy required by it to cool the home, and the higher energy bills will be (as well as your anxiety when you receive it in the mail). Experts suggest replacing air conditioner filters regularly to help maintain system efficiency and decrease cooling costs. If you know the exact moment when it regularly occurs, then that’s great. However, if you need a reminder, consider using AC filter whistles throughout your home. Also referred to as an air filter alert whistle, an AC filter whistle is made of two plastic pieces that snap together onto the filter. When the filter is clean, air is able to move freely through the material. In time, dust and dirt build up occurs. At this point, more air is being forced through the whistle. As time progresses, the accumulated dirt and dust causes the filter whistle to produce a steady, audible sound. When you hear this sound, it is time to either clean or replace the filter in your central air conditioner or furnace. One of the great attributes of an air filter alert whistle is that it doesn’t need to be replaced along with the old filter. When you remove the dirty filter, simply clean off and reattach the whistle to the new one. This process can be repeated many times over, allowing you to increase the efficiency of your cooling system. This in turn will allow you to save money on energy costs, and spend more money on vacation, or ice cream, or anything else that will make the heat of this summer a bit more tolerable. At the end of each month, do you find yourself wondering why the energy bills are as high as they are? Professional energy consultants find that in most homes, residents are using much more energy than they realize. Not actually measuring energy usage can lead to spending 20 percent more on energy than necessary. Knowing how much energy your home uses is a great first step to reducing that amount. The Efergy E2 is a wireless energy monitor that allows you to track energy consumption in your home as it happens. 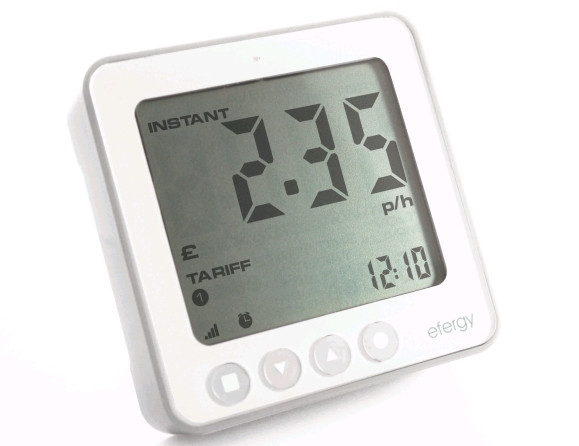 The Efergy E2 has a clear graphical display which shows electricity usage and what it is costing. In addition, it displays the amount of carbon dioxide that is released as a result of the energy being used. The E2 does all of this in real-time, meaning you can track this usage as it happens. It runs on 3 AAA batteries so there is no need to worry about tripping over wires or plugging it in. Unlike other energy monitors the Efergy E2 allows you to not only view daily, weekly, and monthly data, but the information it collects can be loaded onto your PC in the form of a report via USB. This wireless energy monitor stores up to 8 months of history, in case you wanted to compare data. 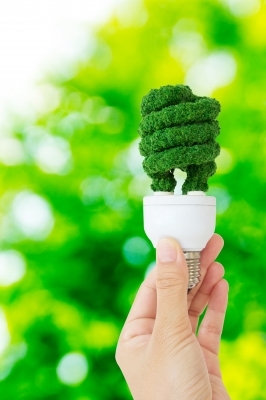 Knowing and understanding how energy is consumed around your home can help reduce that usage 5-20 percent, which of course decreases your homeâ€™s carbon footprint as well as energy costs.